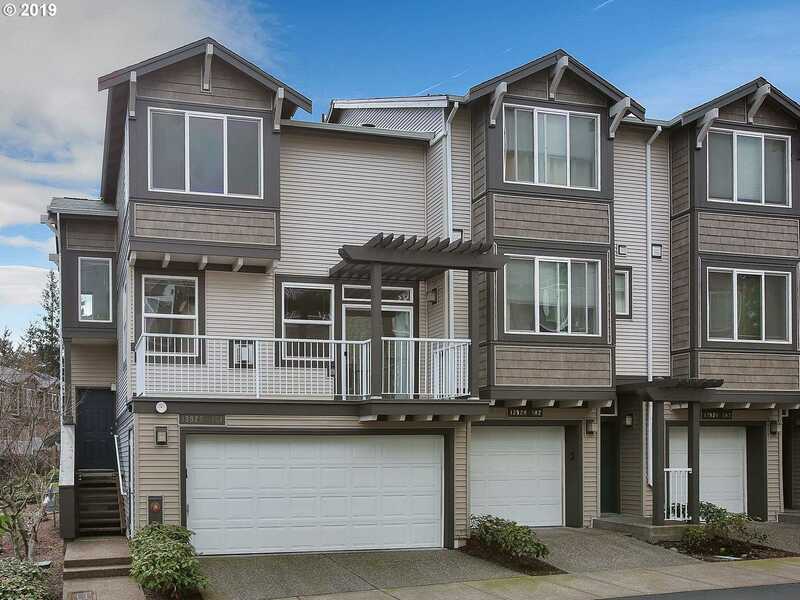 Light filled end unit townhome featuring extra large garage for storage/craft/hobby room and still room for two cars. Three bedrooms upstairs, Master Bedroom suite with walk in closet and bath w/dual sinks. Living room with gas fireplace and deck. Kitchen features hardwood floors, nook, and pantry. Bonus second living area/family room off kitchen with hardwoods and slider to second deck.